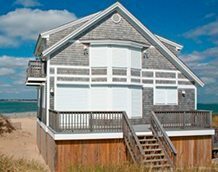 Retractable Screens | Shade and Shutter Systems,Inc. 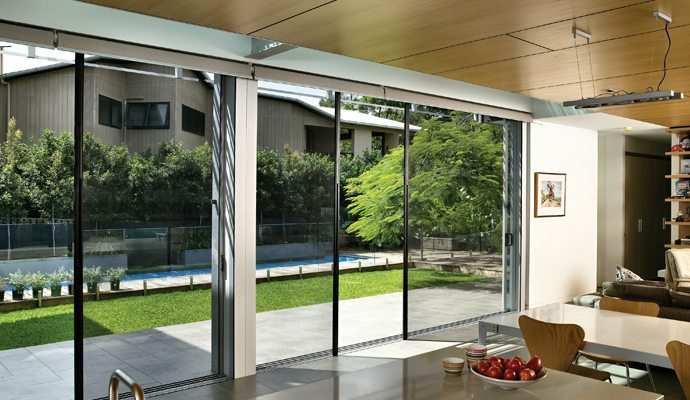 Retractable Screens are designed to control light and heat transfer and enhance privacy. 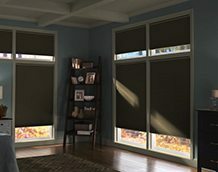 Our shading fabrics can filter the light by varying degrees, allowing you to reduce glare and save energy at home without sacrificing visibility. 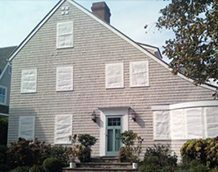 Outdoors, our exterior screens for porches & patios will turn your open porch into a bug-free space doubling as an innovative roll-up insect screen. 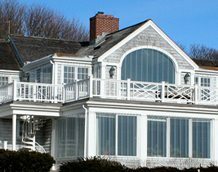 Centor horizontal retractable screens are the preferred choice among design professionals. 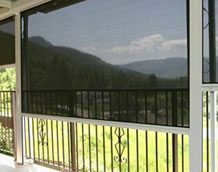 Maintain panoramic views while keeping bugs out with Centor wide span screens. Innovative counter balance engineering eliminates springs and permits one handed glide touch operation. 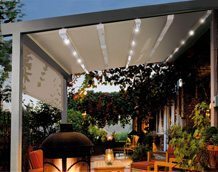 Dual Insect Screen and Solar Control Shade combinations are available up to 24’ wide spans. 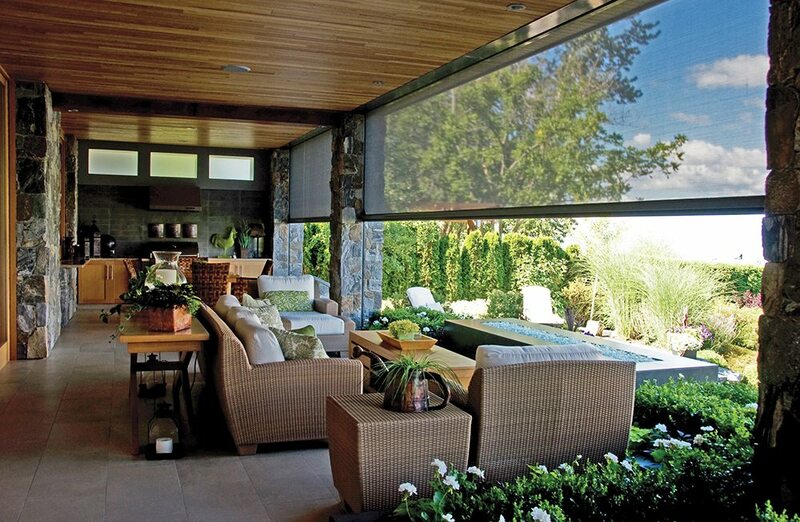 You can even use the Solar Shade as a projection screen! Blurring the line between indoor and outdoor living. Made to order. 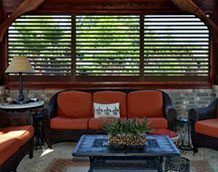 Easy to see through and completely retractable, our exterior Retractable Screens create a cool, comfortable, insect-free environment without sacrificing your view. Designed to provide superior solar protection, they mitigate UV damage, optimize comfort and provide daytime privacy even in windy settings. 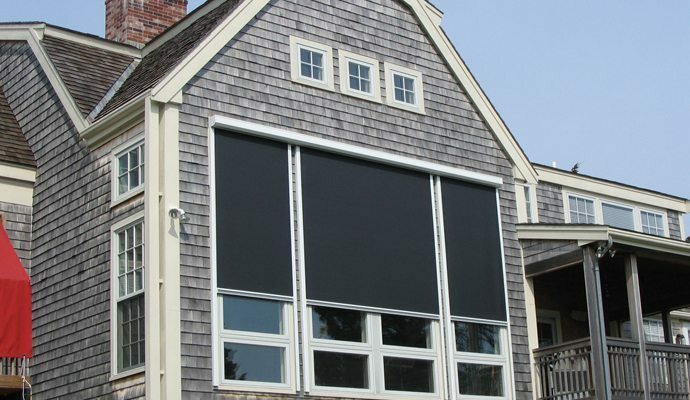 Roll-up Screens are like sunglasses for your home. Retractable Solar Shades provide energy-efficient sun shading, shelter against bugs and mosquitoes, climate control and rain/wind reduction while allowing outward visibility. Depending on screen fabric selection, our solar shade fabric selections are capable of blocking up to 95% of ultra-violet (UV) rays–saving up to 50% of the energy used to heat and cool homes. Retractable screens come standard with manual gear operators however, you may wish to motorize your screen. We feature Somfy motors and components – UL approved. Options include automated operation with wind and/or sun sensors and remote controls. 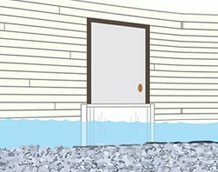 The Eolis retracts your awning when it detects damaging winds and can operated via the Telis remote or Dekoflex wireless wall switch providing push-button control. 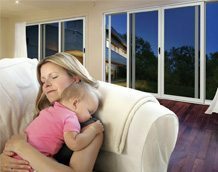 The Sunis will automatically adjust the retractable screens in accordance to preprogrammed sunlight sensitivity and/or room temperature. The Solaris is a combination wind and sun sensor. 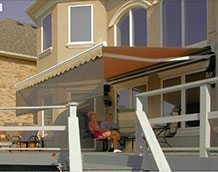 When the sun shines, your awning will extend to provide shade and comfor and will automatically retract when the weather turns cloudy or windy. Enjoy remote control convenience of your awning with the simple push of a button inside or outside your home. 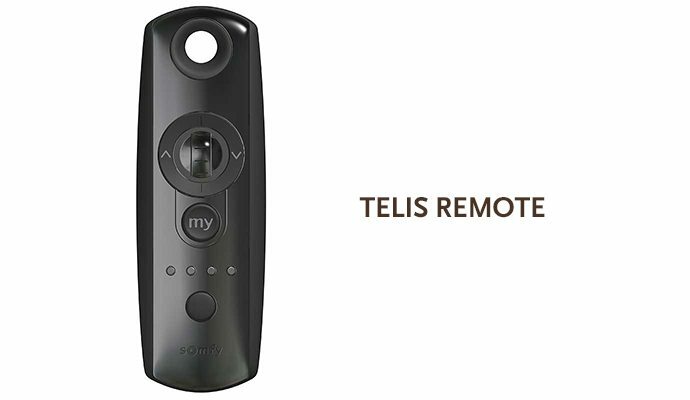 The remote is compatible with all of Somfy’s RTS motor and controls and is available in single or four channel models. 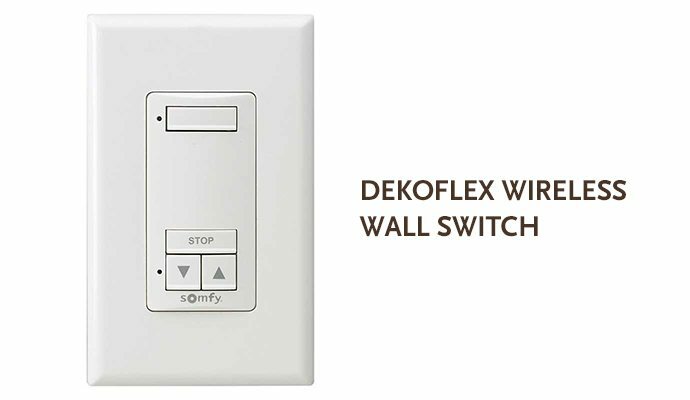 A wireless radio switch compatible with all RTS motors and receivers, it will operate window coverings at a distance with no wiring needed. They are available in single or four channel models. Throughout the summer, we have used our screens to reduce the amount of sunlight that streams into our very large windows and to darken the rooms while watching TV during the day, as well as adding atmosphere to our rooms.